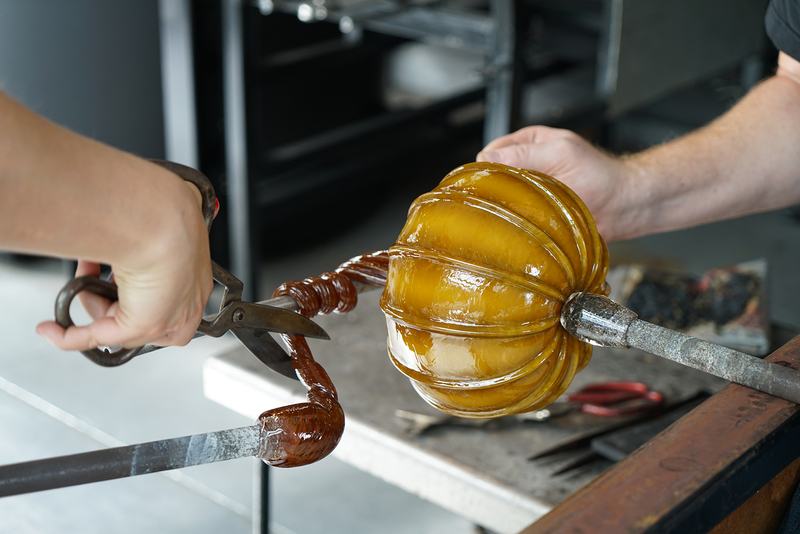 Have you ever seen a glassmaker turn a blob of molten hot glass into a pumpkin? Not many people have, that's why we're inviting you to join us at the Courtyard Hot Shop during Columbus Day weekend, October 6, 7, and 8. From 10 am to 12 pm and 1 to 4 pm, grab a hot cider and sit outside with us as our glassmakers show you exactly how the glass gourds in our Glass Farmers Market are made.